Raised in the 'hoods of Buffalo and North Oakland, an Arabic rapper parlays his skills to stave off violence, in Yemen. Most rappers pride themselves on having a merciless past — poverty, street violence, jail, execrable living conditions, etc. Still, you'd be hard-pressed to find anyone with a cred sheet quite like Oakland's Hagage "AJ" Masaed. Sure, there are the obligatory tribulations: an upbringing in the ghetto; a limb wounded in a drive-by shooting. But four years ago, when AJ decided to take his rap game to Yemen, he left the figurative battlefield of Oakland for what would soon become the new front in the War on Terror, and more recently, the latest revolution of the Arab Spring. "I can't really run from death," AJ said, speaking by cell phone from his family's Sana'a home on a recent Saturday evening. "If your time is coming, it's coming wherever you're at. It could come from a store robbery, car accident, whatever. So I figure I might as well make a stand, be here with my family. And maybe, if a positive change happens, I can be a part of this positive change." After a popular revolt forced out Tunisian President Ben Ali in January, the unrest over aging autocrats quickly spread to Yemen, one of the poorest countries of the Arab world. There, college students have been joined by women, fundamentalists, and tribal militias in calling for the resignation of President Ali Abdullah Saleh, who has held power since 1978. In May, when fighting between opposition forces and government troops escalated, the US State Department urged Americans to leave the country, and Yemenis with the means to do so have fled Sana'a for the calmer villages. But AJ, an American whose rap career was born out of the corner liquor stores where he grew up, is staying put. Partly because he believes he has something to offer. And partly because he has no other choice. "I'm almost stuck between a rock and a hard place," said AJ, who lives with his Yemeni wife and four kids. "I can't really afford to take my family out, all of them, to the States." Even if he could, that would leave the three-story house he and his father built empty — an open invitation to looters. And so, as the city approaches, in his words, "Somalia times three," AJ is making the most of a grim situation. In fact, he's rendered hip-hop into a form of cultural diplomacy. It may be an unlikely role for a guy who, just a few years ago, was selling Old English at a Market Street liquor store. His upbringing in his family's markets in Youngstown, Buffalo, and finally Oakland, and his rise to underground fame as the first Yemeni American rapper was chronicled in the Express nine years ago. But beginning in 2007, AJ's musical career took an unexpected turn. That year, he left for Yemen to care for his ill father. He was surprised to find that his music — a fusion of mid-Nineties West Coast rap with English and Arabic lyrics and Yemeni traditional instrumentation — was already well known, and had inspired a nascent hip-hop scene. He quickly became a part of it — promoting shows, collaborating with Arabian artists, and working to maintain a respectful vibe among the cohort of young rappers. But it took a terrorist attack to give AJ the attention he needed. On Christmas Day two years ago, the so-called "underwear bomber" attempted to detonate explosives on a flight from Amsterdam to Detroit. The event shifted the spotlight of the War on Terror to the would-be-bomber's alleged training ground: Yemen. 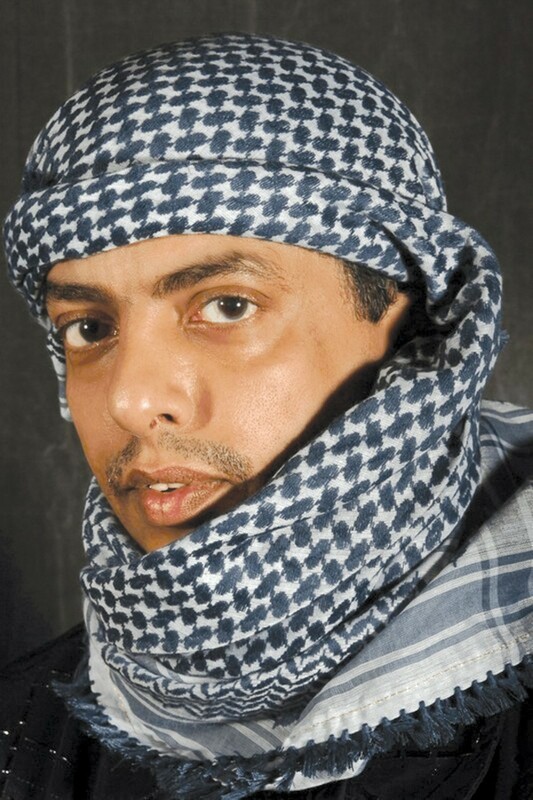 As diplomats and counterterrorism officials searched for ways to keep the country's unemployed youth (an estimated 40 percent lack jobs) from the allure of extremists, AJ was suddenly something more than the underground pioneer of Yemeni hip-hop. 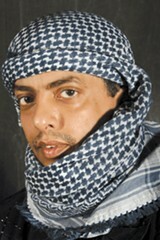 He was the potential bridge between the Western society in which he grew up, and the frustrated Yemeni youth. In the States, we hear of hip-hop projects to keep kids off the streets. In Sana'a, the stakes went up a notch. Hip-hop, the hope was, could keep youth out of al-Qaeda. And the charming and unassuming AJ easily endeared himself to embassy staff, government officials, and NGOs that wanted to support his efforts. "A lot of these youngsters need a little direction," AJ told me last year as he began work on an album entitled No Terrorists Please. "So I'm hoping that if maybe I can just put something in someone's head, maybe it'll change their views ... before jumping on the bandwagon, you know." Al Jazeera, CNN, and local newspapers chronicled the project, and a popular single about Yemeni pride became the official tune of last year's Gulf Cup soccer tournament, held in Yemen. "It was like I opened the door for something that Yemen hasn't seen. And I thought it was just the beginning. "And then all this happened." "This" would be the Arab Spring, and AJ has not yet found an upside to the revolt. His job at a joint US and Yemeni government-sponsored radio program, where he composes rap parables aimed at unemployed youth, went on hold for several weeks when the uprising began. Now, like the country itself, its future is uncertain. When we spoke on the phone, the electricity was out. It's just one of the casualties of the violent revolt, which also led to a black market for gas, and civilians arming themselves with machine guns. When President Ali Abdullah Saleh was injured by an attack on the mosque where he was praying in early June, AJ heard the explosions, about a half-mile from his home. While things have calmed down since the president left for medical treatment in Saudi Arabia, AJ worries about what the future holds. "Each home has, like, three weapons on average," he said. "You just sit there and pray, like, oh my god. This is going to be a failed state. This is going to be chaos, this is going to be gang warfare." But unlike many of the foreigners who have left the country, AJ has seen a lot in his lifetime, and he's dealing with the newest wrench in his plans with understated calm. For his three young daughters, he erected a tent on the roof so they can play under the cool night air. When the electricity is on, ESPN and Facebook help him connect with America and exchange music with producers in the States. If anything prepared him to carry on through a civil revolt, he said, it was life in the corner markets of America. "I was in Buffalo, New York, when the crack scene hit and it was the war on drugs. Being in these areas and seeing how drugs have destroyed families and communities, coming to Oakland and Oakland is the same thing," he said. "Over here, they have their own problems. It's not really drugs, you know, but poverty, and neglect, and war, and prejudice. It's always something." How long before AJ returns to Oakland is another uncertainty, but when that happens, don't be surprised to find him right back where he came from, at the corner of Market and Adeline, behind the counter of A & Sons Market. "I made my marks in these little communities or these ghettos," he said. "You don't have to be a gangster. You just have to know how to talk to people." It worked in Oakland, he said. Hopfully it will translate halfway around the world. Arab wordsmith AJ raps 'bout 9/11 from the 510. Oakland offers rent-free space for everything from crepes to clothing, and local businesses are asking what the city gets in return. The owner of property that the city wants for a West Oakland supermarket has done well with eminent domain in the past.